We are pleased to announce to you as one of the 12 lucky winners in the POWERBALL LOTTERY PROMOTIONS held on 28 August , 2007. All 12 winning addresses were randomly selected from a batch of 40,000 international emails. Your email address emerged alongside 11 others as a 3rd category winner in this month's draw. Consequently, you have therefore been approved for a total pay out of £ 520,000Pounds ( Five Hundred and Twenty Thousand pounds) only. Congratulations from me and members of staff of POWERBALL UNIVERSAL PROMOS. Please be informed that the following listed Country have been banned from participating in the lottery. 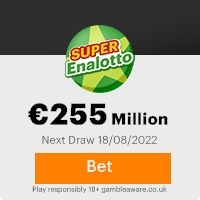 Vietnam, Iraq, Nigeria, <*xml:namespace prefix = st1 ns = "urn:schemas-microsoft-com:office:smarttags" />Venezuela and North Korea if you are a resident of the listed country you cannot file claims for this lottery prize. Please delete this Notification as your prize processing will be annulled without notice. An Eynsham mother scooped a Lotto jackpot fortune of £147,516 on Wednesday 19th September, thanks to her dedicated grandparents. Copyright © 2005/2006 The UK National Lottery Inc. This Email with the Subject ">>NOTIFICATION FROM POWERBALL PROMOTIONS<<" was received in one of Scamdex's honeypot email accounts on Mon, 27 Aug 2007 17:32:52 -0700 and has been classified as a Generic Scam Email. The sender shows as "Mrs. Victoria Bates" <v.bates98@hotmail.com>, although that address was probably spoofed. We recommend that you do not attempt to contact any persons or organizations referenced in this email, as you may expose yourself to scammers and, at the very least, you will be added to their email address lists for spam purposes.